There’s a wealth of information online, but when it comes to marketing your small business, you want to separate the fluff from the actionable advice you can really use to grow your business. We’ve compiled your short list. 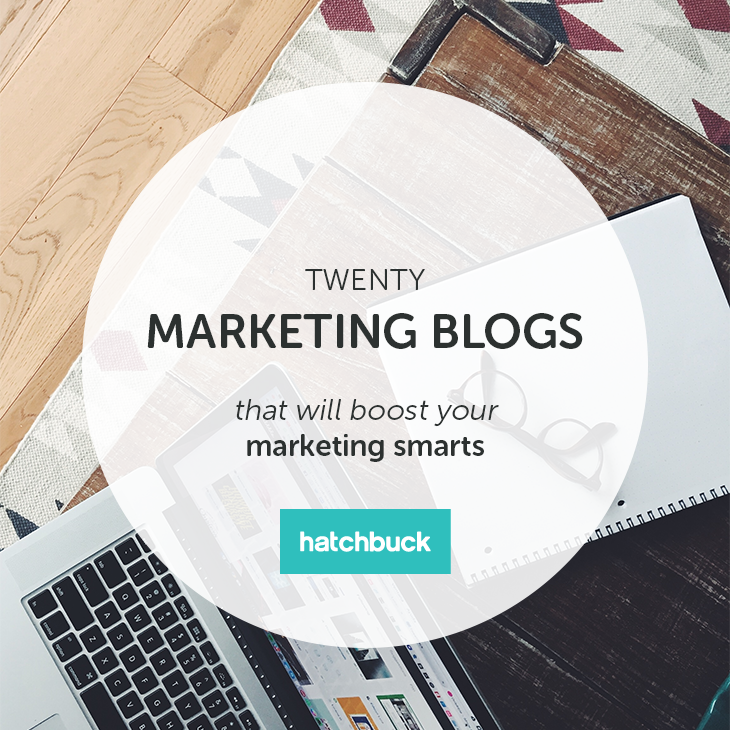 Check out these 20 small business marketing blogs. Follow them on Twitter. Add them to your RSS feed. Bookmark them in your browser. Or just keep this list handy so you know just where to go to stay up to date on marketing trends, tactics and strategies. Run by a network of marketing professionals (it lives up to its name), MarketingProfs is the go-to source for comprehensive information on most any marketing topic. Headed up by Ann Handley, it’s a must-read blog for marketing professionals and newbies alike. This is a great place to start if you’re new to content marketing. Get superior content marketing education so you can build a remarkable online presence in the format you prefer – Copyblogger shares content in article, audio and video format so you can easily download and digest. Coschedule is another awesome content marketing resource. And, you can check out their free headline analyzer tool to make sure your content is getting every ounce of attention it deserves on social media. Not only are they social media gurus, but Buffer is also known for their transparent take on business. You can follow their social media blog as well as Buffer Open, Buffer’s journey to great productivity, more transparency and a happier work culture. Every small business knows they need to be on social media – but creating a presence, measuring engagement and converting social media leads into customers can be tricky. Social Media Today offers up best practices, tips and tricks to help you make the most of the resources you dedicate toward your social media channels. Fast Company puts the spotlight on innovation and creativity in the world of work – taking a look at technology, leadership, and the most innovative companies. Follow their blog to get inspired by thought leaders who are actively inventing the future of business. Hootsuite Life is “an owl’s-eye view” of Hootsuite’s people, products, and community. Hootsuite has long been the social media champion of small businesses, and is a great place to go for social media advice. As a small business owner, sales and marketing isn’t always your specialty. Headed up by John Jantsch, the Duct Tape Marketing blog offers up sound advice for small business owners who are literally “duct-taping” their sales and marketing together on a dime, but need big results to grow. On the Moz blog, the SEO industry’s top wizards, doctors, and other experts offer their best advice, research, how-tos, and insights—all in the name of helping you level-up your SEO and online marketing skills. Headed up by Anita Campbell, Small Business Trends is an award-winning online publication for small business owners, entrepreneurs and the people who interact with them. It is one of the most popular independent small business publications on the web. Check out their marketing section for marketing help. Violeta Nedkova‘s blog is perfect for all the rebels out there who’ve decided to embark on the journey that is owning your own business. Check out her site for tips on branding and setting yourself and your business apart from the pack. Ivana Taylor and her team provide easy and affordable tips for small businesses who need big results, but have limited resources and limited budget. Get DIY marketing ideas, tips, tools and strategies to help you reach more customers in less time – for less money. The IMPACT blog is the perfect resource for owners who are new to the arena of inbound marketing. Get the latest in inbound marketing, sales, design, & conversion rate optimization. OkDork is the personal blog of AppSumo‘s Cheif Sumo, Noah Kagan. It is focused on startups, marketing, self-exploration, and tacos. He shares secrets about the best ways to write a cold email, business books he’s read, memorable experiences, how to deal with depression, growing email lists to 20,000+, and how to make it easy for others to say yes. Marketing Land is a daily publication that covers all aspects of the digital marketing industry. Daily news coverage includes breaking stories, industry trends, feature announcements and product changes at popular platforms used by digital marketers to reach consumers online. Best-selling author and marketing expert Seth Godin offers up business & life advice on his blog. His posts are digestible chunks that get to the point, yet really make you think. When you need to look at your business from a different perspective, Seth’s blog is the perfect place to go for game-changing insight. Want real marketing hacks that actually work? Head over to the Oktopost blog for data-driven social media strategy, advice and tips that get you what you really want…leads, conversions and customers. Jeff Bullas is an entrepreneur, blogger, author, marketer and speaker who works with personal brands and businesses to optimize their online personal and company brands with emerging technologies, content, social media technologies and digital marketing. His blog covers entrepreneurship, social media, content marketing and digital. Our small business sales and marketing experts share content daily. Geared toward small business owners and marketing agencies that serve small business content, we deliver actionable advice that you can use now to start attracting more leads and customers. Sign up for our monthly blog digest so you can stay in the know when it comes to digital marketing, social media, and running a small business.